Descriptions, duties and contact information for the province’s consular officers. The Order of Precedence outlines the order of importance of officials for ceremonies and special events in Alberta. Learn about official seating arrangements and speaking order for events and ceremonies. Proper procedures for giving a toast. The Alberta Protocol Office provides a variety of services to the provincial government and the community at large. Plans, coordinates and conducts visit programs for senior-level international governmental delegations coming to Alberta. Develops and conducts government ceremonial events such as the Throne Speech and Remembrance Day commemoration. Manages bookings for Government House, the 10th floor of the Edmonton Federal Building. Advises government, community groups, the private sector and individuals about protocol requirements for special events. 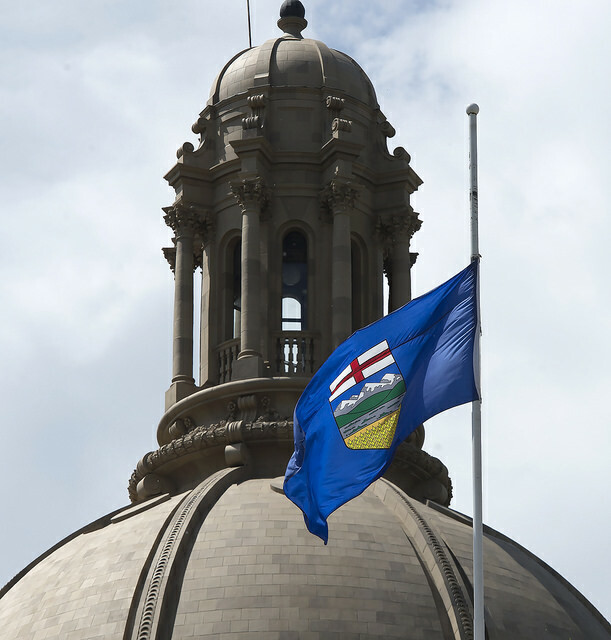 Flags will be half-mast at all Government of Alberta buildings from sunrise until sunset on Sunday, April 28, 2019 to the mark the Day of Mourning for Persons Killed or Injured in the Workplace.